At Bennington Crossings Apartment Homes, our one, two, and three bedroom Alexandria, VA, apartments are here to streamline your days so you have more time to do what you love most. With walk-in closets you’ll have plenty of space to stay organized and stay ready to go every morning. Take advantage of your very own private patio or balcony and start a container garden or make it a habit to watch the Virginia sunset every night. In addition to comfortable and functional interiors, Bennington Crossings Apartment Homes will surround you with relaxing community amenities. Swim a few laps in our refreshing swimming pool while you wait for your laundry in the onsite laundry facility. 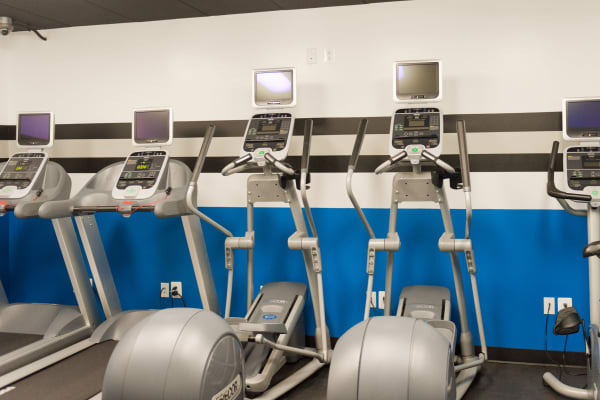 Maintain your health with a heart-pumping workout in our fully equipped fitness center. Bennington Crossings Apartment Homes is here to take some stress out of your life, and that’s exactly what we plan to do. Full Revamp of Amenity Package Coming Soon!